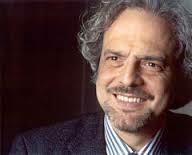 Giorgio Battistelli was born in Albano Laziale in 1953. He studied composition at the Aquila Conservatory from where he graduated in 1978, while studying at the Conservatory he attended the seminars of Karlheinz, Stockhausen and Maricio Kagel in Cologne. He followed courses for comtemporary theatre music given by Jean Pierre Drouet and Gaston Sylvestre in 1978 and 1979. He began writing prolifically for operas for musical theatre in 1981, the year he wrote Experimentum Mundi. His compositions have been performed at the Festival d’Automne at the Centre Pompidiou in Paris, the festivals of Salzburg, Lucerne, the Biennale and Gasteig in Munich, the Berlin Biennale at the Accademia of Santa Cecilia as well as in the theatres of La Scala in Milan, the Opera di Roma, the Teatro Comunale in Florence, the Opera of Anversa, Strasbourg, Geneva, Bremen, Mannheim, Almeida in London and also Hong Kong, Adelaide, Brisbane, Melbourne, Sydney, Wellington, Taipei, Tokyo, New York, Washington Singapore, La Paz and Beijing. His music has been performed by conductors Riccardo Muti, Antonio Pappano, Lorin Maazel, Daniele Gatti, Daniel Harding, Adam Fischer, Jukka-Pekka Saraste, Myung Whun Chung, Susanna Malkki, and Zoltan Pesko’. He has worked with directors such as Robert Carsen, Luca Ronconi, Georges Lavaudant, Mario Martone, Michael Lonsdale, David Putney, Daniele Abbado, Fura del Baus and Studio Azzuro and with actors Toni Servillo Bruno Ganz, Ian Mc Diarmid, Philippe Leroy, Moni Ovadio, and Vladimir Luxuria. He has been awarded the title of Chevalier de l’Ordre des Arts et des Lettres from the French Ministry of Culture and the Commendatore dell’Ordine ‘’al merito della Repubblica Italiana’’. He was composer in residence at the Opera of Anversa, at the Deutsche Opera at the Rhein di Dusseldorf and at the San Carlo Theatre in Naples. He has worked as Artistic Director with the Orchestra Regionale della Toscana (he worked with them yet again in 2011), at the Venice Biennale, the Società Aquilana dei Concerti, at Accademia Filarmonia Romana, with the Arena Foundation in Verona, and the Cantiere d’Arte in Montepulciano. In recent years he has composted symphonic scores commissioned by the Orchestra Regionale della Rai (Tail up, directed by Susanna Malkki), by the Munster Symphony Orchestra (Pacha Mama), by the Saint Paul Chamber Orchestra (Mystery Play), and by the Haydn Orchestra of Trento and Bolzano (Sciliar). In 2012 his theatre works were performed for the theare of the Opera of Anversa, including the first performance of Il Duca d’Alba, and an opera of an unfinished work of Gaetano Donizetti which he completed. He also wrote an Oratorio for the San Carlo theatre in Naples Napucalisse. He has taught at the Aldeburgh Music Festival, and in 2012 he gave a course entitled ‘Progetto Opera’ at the Accademia Chigiana in Siena. In 2013 Bastistelli wrote the opera Lot, the subject was taken from the Biblical story and commissioned by the Hannover Staatsoper. In May 2015 his new opera CO2 was performed at La Scala, its first performance was held in conjunction with the opening of the Expo in Milan.